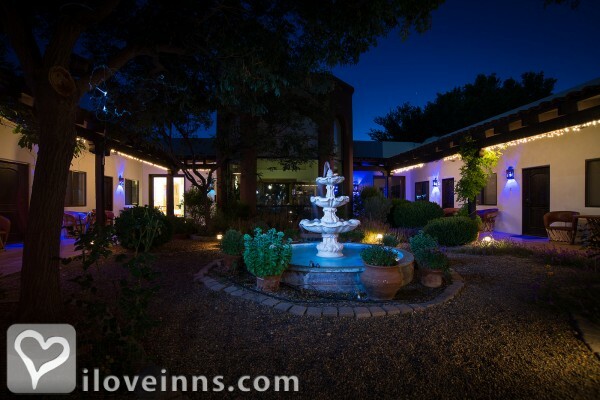 Built around a courtyard and fountain, this Territorial hacienda-style bed & breakfast inn is furnished with hand-carved wood furnishings and accent tiles from Mexico. Its care for the environment as well as its location on ten acres of high prairie grassland adjacent to the San Pedro River and Riparian Reserve create a world-class hideaway for naturalists and ecotourism. Relax by the fire in the Great Room, or research birds on the computer. Romantic guest bedrooms offer quiet privacy and the warm hospitality includes quality concierge services. Experience the made-to-satisfy breakfast that will include old favorites and wonderful new recipes. Special dietary needs are easily accommodated. Payment Types Accepted Include Master Card, American Express, Discover, Personal Checks, Travelers Checks, Visa and cash. This property has 11 total guest accommodations with private bath, 6 with fireplaces, 1 two-bedroom suite and 1 conference room. The types of beds available include Double and King. Quiet luxury in a private setting at the end of the (paved!) road. Stroll along the river or sit in our butterfly garden or by the fire and relax! A Bird Watchers paradise - hikers and bikers too! Casa de San Pedro is committed to promoting green practices in our use of clenaing supplies, recycling our waste, and conserving water through the use of xeriscape plantings (low water use/native plantings). We also use solar to generate about 100% of our electricity for the year..
High desert plantings of native plants and succulents. 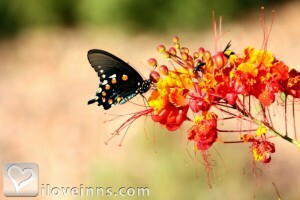 Over 120 species of plants, xeriscape low water useage, and oriented to butterly and hummingbird attractions. 50% deposit required at time of reservation, refundable with $25 service fee if canceled with 14 days notice, 50% refunded with 7 days notice. Deposit may be refunded entirely if room can be re-rented. Guests are responsible for the entire cost of the room if no cancellation is made. Bisbee, AZ (20 miles), Tombstone, AZ (30 miles), Cochise Stronghold (40 miles), Kartchner Caverns (40 miles), Coronado National Monument (10 miles), Huachuca Mountian Canyons (7 miles) for hiking, bird watching, mining history. Sierra Vista Visitor's Center Annual Hospitality Award (the U-Rock Award): Lodging - 2007, 2008, Hall of Fame 2011. Arizona Highways: 2010 - 25 Best Places In Arizona. Cafe Roka - Bisbee, Adobe - Sierra Vista, The Bisbee Grill - Bisbee. Italian Christmas Delight - our guests rave about the unique idea of making this delicious breakfast bread into rich and satisfying French (Italian?) toast. Southwestern breakfast surprise that keeps them coming back for more! Enchilada sauce can be mild or spicy depending on your tastes. Favorite crustless egg and cheese pie - with a nod to our southwestern tastes! The best pancakes our guests have ever had - toothy yet satisfying. 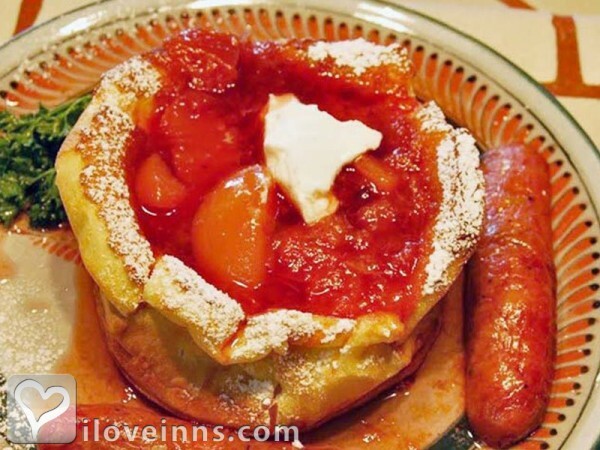 Our most requested breakfast for returning guests! We have stayed at the Casa de San Pedro numerous times and it seems to get better each time. The Innkeepers create an atmosphere of friendliness that spreads to the people staying there. 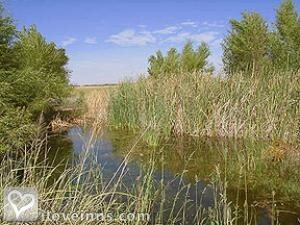 The location is ideal for bird watching, hiking, relaxing and generally enjoying nature. We consider it a treasure and would recommend it to anyone! We spent three memorable nights at the Case de San Pedro in mid-March. We felt at home as soon as we arrived. Freshly baked pie and coffee was available in the afternoon to eat in the lovely dining area or at the table in the courtyard outside our room. Birds were at the feeders and during a short walk more were found. The Casa is comfortable and tastefully decorated. Books, magazines, computer and TV in the common rooms were appreciated. Fresh fruit and freshly baked muffins or rolls accompanied the main course of the wonderful breakfasts. We have fond memories of our stay. 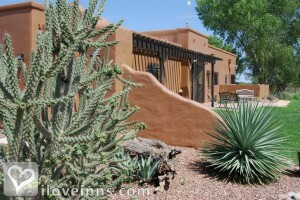 My husband and I recently stayed at the fabulous Casa de San Pedro - it was the best B&B we have ever been at. Hosts Patrick and Karl took care of our every need, their cooking and baking are amazing, and the inn itself is stunning. I am a bird watcher but my husband is not. Even though the inn is geared toward birders, with hummingbird and various other feeders around the property, my husband enjoyed it just as much as I did. Our room was very well maintained and the decor was very nice. We opened our door onto a lovely courtyard where hummingbirds flitted around at the feeders, and we ate our meals on our own little table outside our room. For birders: the bird life here is insane. We had Lazuli Buntings, Black-headed Grosbeaks, Wilson's Warblers, Western Tanagers, Gambel's Quail (with babies! 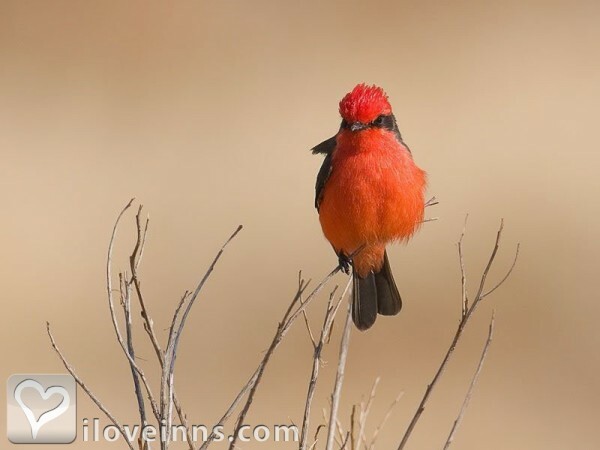 ), Kestrels, Barn Owls, hummingbirds, Yellow-breasted Chat, Vermillion Flycatchers, and that just scratches the surface of what you can enjoy by just looking out the window or lounging in the beautiful backyard of the property. We can't wait to go back to the Casa de San pedro. Thank you Karl and Patrick (and Shadow and Cody too)!!! I was exceptionally pleased with all aspects of my recent stay at this very beautiful B&B. 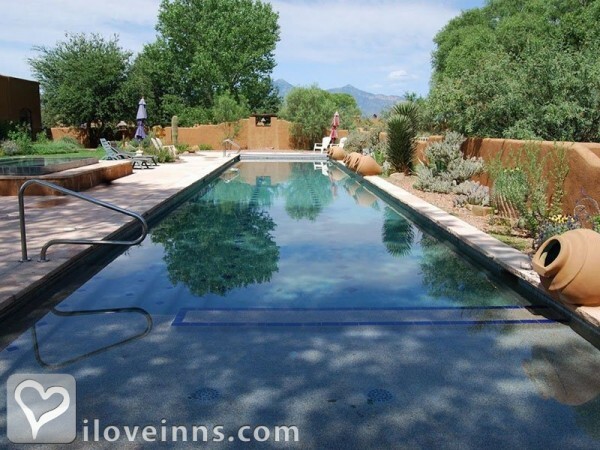 The guest rooms, the amenities of the property, the comfort and spaciousness of the indoor common areas, the beauty of the outdoor areas of the property, the proximity to the San Pedro River as well as the graciousness of the hosts Karl and Patrick. The gourmet breakfasts, pies and cookies were top notch. Thank you Karl and Patrick for sharing your home. Several important birding spots are within a 90 minute (or less in many cases) drive from this B&B. 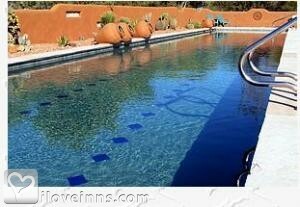 We had a wonderful four-day stay at Casa San Pedro and can�t recommend it highly enough. The whole experience was delightful, and Patrick and Karl are great hosts. We enjoy the delicious and more-than-filling breakfasts, our comfortable and spacious room and bed, the ambience of the courtyard and the inside living areas, and the conversation of the other guests. We were there primarily for the birding and we were not disappointed � a colourful array of birds without having to leave the yard. But we did leave the yard and enjoyed nearby birding and good restaurants for dinner. We were especially appreciative of Patrick and Karl�s attention to special dietary needs; this made our stay worry-free. We held our annual retreat at this site and loved it. It was a perfect location and our hosts couldn't have been more accomodating. It was charming, clean, peaceful, and quiet except for the wonderful sounds of nature and their courtyard waterfall. The food was outstanding...we all wanted the recipes so we are hopeful they will one day create a cookbook. I would easily give this location one of the highest ratings. Great location, wonderful hosts. Just a little pricy for what you get. Starting to show it's age so doesn't have that pazazz you expect for the price. Our family reserved 3 rooms at Casa de San Pedro for a weekend reunion. Everything about our stay was perfect: Wonderful rooms, lovely courtyard for enjoying wine and conversation in the evening, FABULOUS breakfasts, delightful innkeepers. 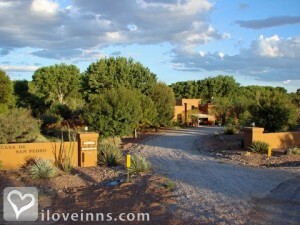 I recommend Casa de San Pedro without hesitation if you're visiting southern Arizona. We spent a wonderful 2 night stay as we have for the last 4 yearS, the weekend of our anniversary. This year was our 30th and this is such a relaxing place to go. All the rooms are around a fountain and we sat and watched spiders spinning their webs. The first night they were hosting a family reunion and invited us for dinner. All guest took them up on this offer so we met all the guests our first night there. It was WONDERFUL and RELAXING. Carl and Patrick are wonderful hosts. It is showing its age and maybe the outside furniture should be replaced but other than that it is a great place to stay. Based on a tip from my father, who's friends and neighbors with Karl and Patrick, my fiancee and I held our (small) wedding at CdSP this past October. K&P (and their staff) were as welcoming, accommodating, flexible, and on top of things as anybody could expect. The inn and the location are gorgeous and relaxing, and our guests (we occupied the whole inn and had add'l guests staying in other places nearby) gushed about, well, everything. Suffice it to say, we have lovely memories and would do it all over again in a heartbeat. Setting was perfect, room and courtyard were beautiful, food was lovingly prepared and delicious. Wish we could have stayed much longer. This is far and away the best bed and breakfast we have ever experienced. We recently had the pleasure of staying at Casa de San Pedro with our classic car group. We rented all 11 rooms and totally enjoyed the scenic hacienda. It has a great group area for outside BBQ, indoor dinning, living room with fireplace and big comfy couches. The rooms were sparkling clean and bed comfortable. Lots of quaint lovely touches all around the property with plenty of room to walk and explore down to the river. The owners are very nice and accommodating. The surrounding area has plenty to do and see within easy driving but B & B is off the beaten path with lots of privacy and views. My only regret is that we didn't stay one more day! Thanks for a great stay! AZ Tourist News, Minneapolis Herald Tribune, Arizona Highways, Sunset, Rated the Best Breakfasts in the Southwest by Arrington's Inn Traveler magazine.